All GIA graduates, Accredited Gemological Institute (AGI NY) is an independent diamond and jewelry appraisal service located at the center of the diamond district in New York City located at 37 W 47 Street Suite 1202 New York, NY 10036. AGI NY appraisals are recognized by all major insurance companies. They provide the best possible information to our clients regarding their diamond, jewelry, gem stone & watch purchases. Clarity enhanced diamonds are 100% genuine natural diamonds. The technique of clarity enhancement allows the small blemishes inside a diamond to become invisible to the naked eye resulting in a more beautiful diamond at an infinitely more affordable price. The enhancement process is permanent. Only fire, boiling acid, or pure ammonia can alter the process. We guarantee the enhancement process for life. Invest in a clarity enhanced stone and enjoy the benefit of a beautiful large stone at a faction of the price. With every purchase from www.Skydelldesign.com you will receive a free gift box. Gift boxes may vary depending on the size of your item. All of our items are packaged with a beautiful black velvet jewelry box, appraisal certificate, as well as your receipt. If you have any special requests regarding any packaging requests feel free to contact us at anytime. Skydell Design offers high-quality service in a friendly, approachable manner. Click here to learn more about us and dedicated staff. 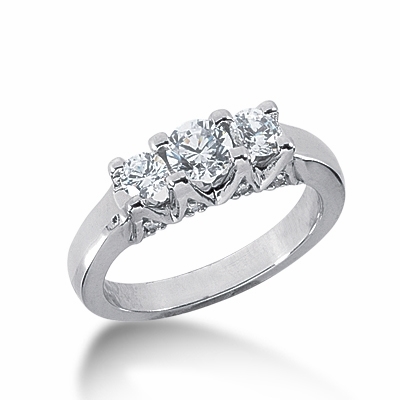 Clarity enhanced diamonds are natural, flawless, and offered at only a fraction of the cost! Strategically located in the heart of the Diamond district Skydell Design Corp. Copyright © 2013 Skydell. All rights reserved.